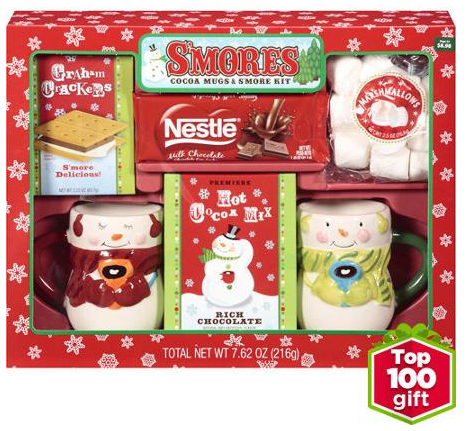 S'more Kit Gift Set with Mugs and Cocoa ONLY $9.98 + FREE Shipping! You are here: Home / Great Deals / S’more Kit Gift Set with Mugs and Cocoa ONLY $9.98 + FREE Shipping! S’more Kit Gift Set with Mugs and Cocoa ONLY $9.98 + FREE Shipping! What a great deal for this super cute S’more Kit Gift Set with Mugs and Cocoa, priced at ONLY $9.98 + FREE Shipping right now! There is NO coupon code needed!